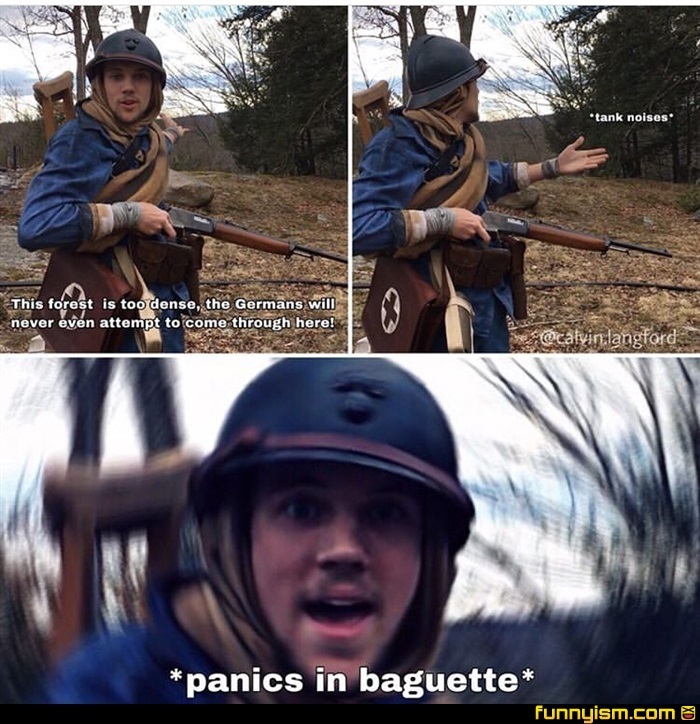 This a cosplay of a bf1 french medic and when the Germans when through Belgium in the first world war they didn't use tanks. @The nOly One, bf1 is a ww1 game. @The nOly One, I know that. That's obvious. Those blue uniforms while ineffective camoflauge wise are real snazzy. @M0RT0S, The French army marched into battle at the beginning of the war with bright blue uniforms and red pants in line formation, only to find out that the Germans were paying attention to what had been going on with technology. The Germans had machine guns and knew how to use them properly, the rest of Europe thought that they were novelties and pretty much only used them in their colonies as a substitute for more soldiers.